For coil-on-plug with no spark plug wires. The HEMI's Variable Valve Timing is not supported by the Holley EFI systems at this time. You can run an engine that is equipped with VVT, but the cam timing will revert to the mechanical default. 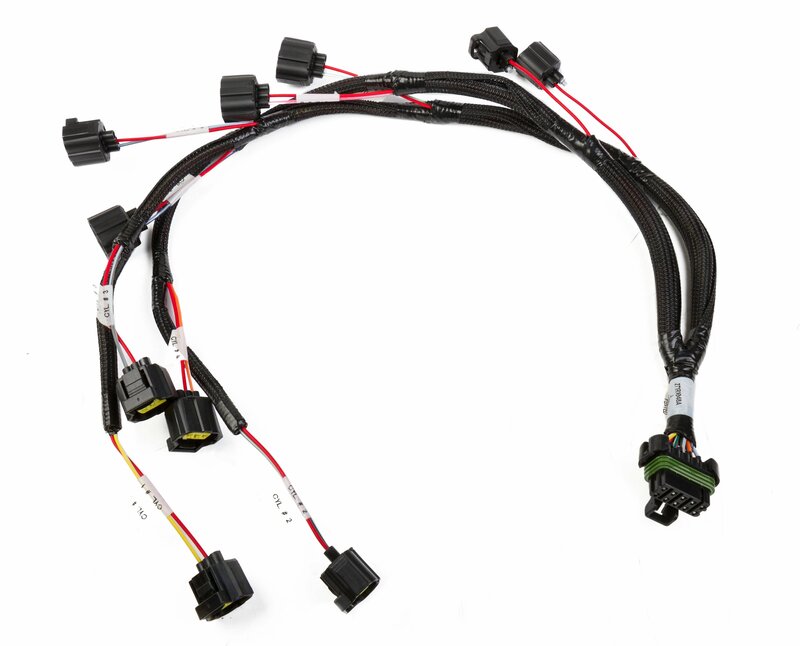 The Holley R&D team is working on an accessory harness that will drive the VVT actuator. However, it is not available at this time. The HEMI's Multi-Displacement System (MDS) was primarily designed for fuel economy purposes and does not need to be connected when switching to a Holley EFI system. NOTE: Not legal for sale or use on pollution controlled vehicles. Chrysler has used two different coils on the HEMI engine series with 2006 being the year that the change was phased throughout the truck and car line. Fortunately the two coils are very different visually and makes for a simple review. If the coil requires spark plug wires, it is the early coil. 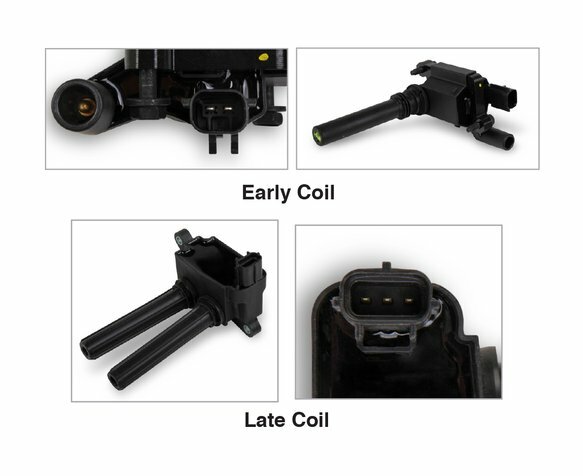 If the coil does not require plug wires and simply has two boots that connect to the plugs in the cylinder head, it is the later coil. View the image gallery for images of both types.